First, we must have all the necessary data inserted in our Worksheet as shown in the image below. Once the necessary data is in our Worksheet, we must select the data that we want to visualize with a Funnel Chart, as shown in the image below. We must use one Column for the Stages in Process, and another Column for the Values. 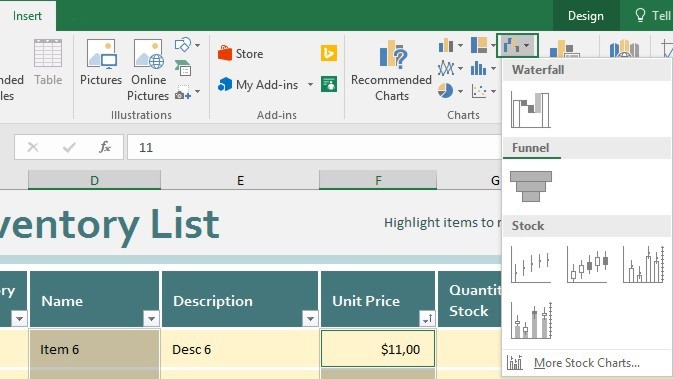 Once the data is selected, we must select the Insert tab and then we must locate the area of the ribbon named Charts as shown below. Once the Charts area is located we select the Funnel Chart. Immediately a Funnel Chart has been inserted in our Worksheet as shown in the image below. Once the Funnel Chart is inserted and it remains selected, the Design and Format tab appear on our ribbon. The Design tab is activated, where with the use of the commands available we can Modify the Funnel Chart. 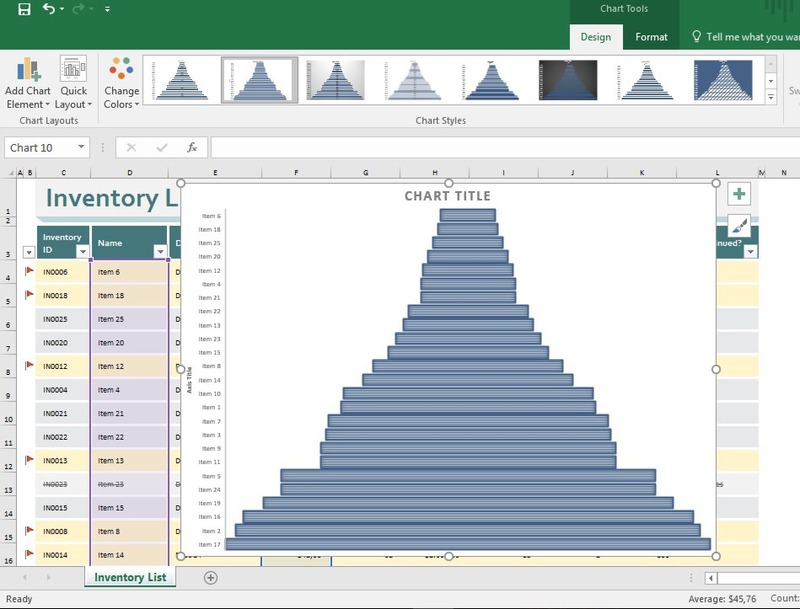 Below you can check out the video describing How to Create A Funnel Chart in Microsoft Excel 365. 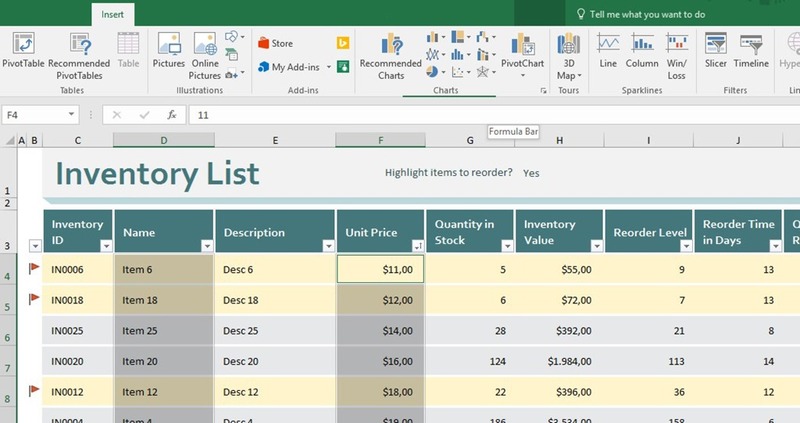 Posted on January 17, 2017, in Excel 365 English, Microsoft Office 365 ProPlus English and tagged Charts, Column, Data Values, Design tab, Format Tab, Funnel Chart, Insert, Insert A Funnel Chart In Excel 365, Microsoft Office 365, Office System, Smart Office, Workbook, Worksheet. Bookmark the permalink. 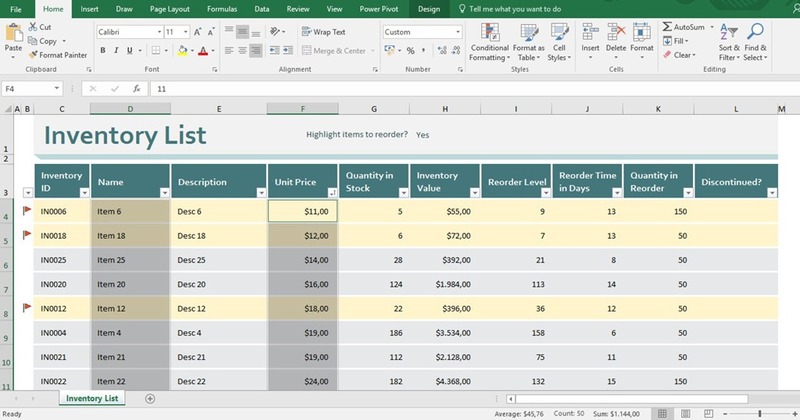 Comments Off on Insert A Funnel Chart In Excel 365.